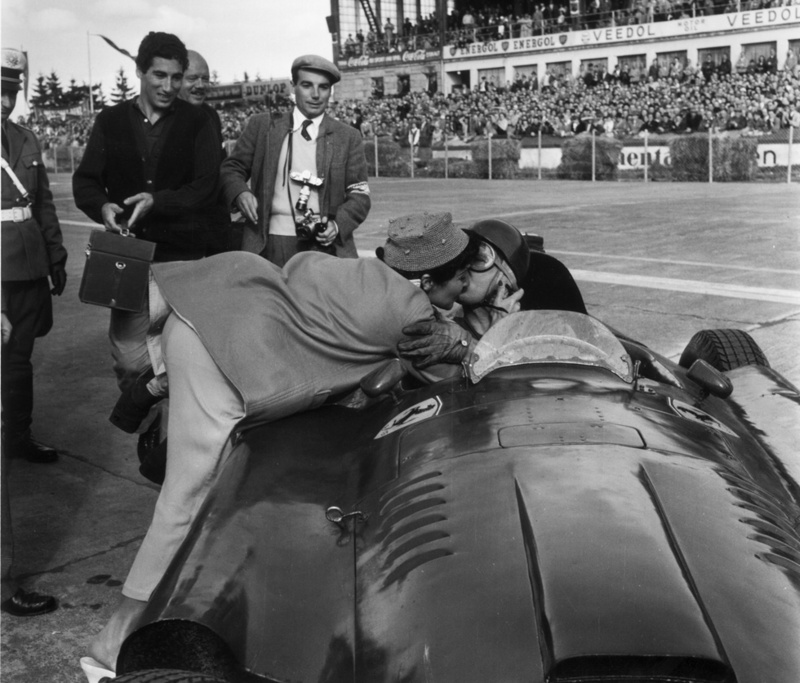 Juan Manuel Fangio, legendary champion, kidnap victim and a bit of a ladies man, cannot find peace in the great beyond. The trouble comes from his relations with ladies and with children those relations produced: a judge in his native Argentina has ordered the exhumation of Fangio's body in order to perform a DNA paternity test. 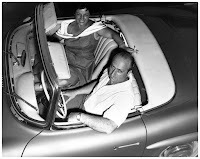 That Fangio, who never married, had at least two sons has been know for years, at least in Argentina. The eldest is Oscar "Cacho" Espinosa, now 77 with a past as a race car driver as well. Espinosa is the son of "Beba"Berruet a married woman Fangio had a relationship with when he was 27 years old. Espinosa's documents carry the Fangio name but how this came about is curious. 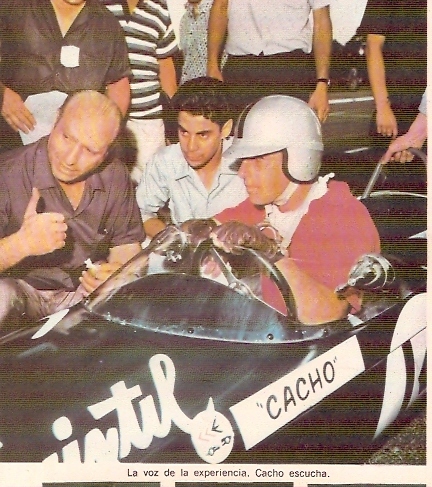 Espinosa was racing Formula 3 in Europe and his team was demanding the Fangio name for sponsorship reasons. 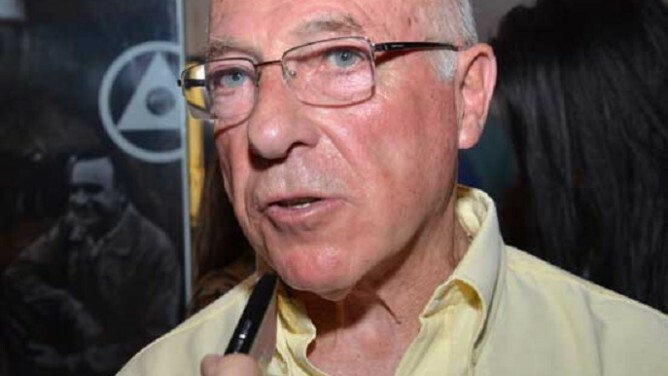 Juan Manuel called in a favor from a colonel who was in charge of the local civil registry who changed Oscar's papers and added the famous name. But the champion never officially recognized Espinosa nor a younger son, Ruben Vasquez born four years after Espinoza to another married woman Fangio had an affair with. The relationship between the champion and his son soured a couple of years before Fangio's death in 1995. Espinoza had asked him why he would not officially recognize him to which the old man replied, according to Espinoza's attorney, "You have to show me you deserve it"
The two men never spoke again. Why would Espinoza embark on this quest so late in life? he told Clarin he's doing it in part as a tribute to one to his daughters who always told him he should not renounce his true identity. Complicating this matter are the interests of the Foundation Fangio to which the master had donated all his artifacts and which has blocked the younger son's paternity quest n 2005. Espinoza was able to present a strong enough case to convince the judge who ordered the exhumation to take place on August 7th and presumably will finally put this whole matter to rest. What can you say? These are Formula 1 World Champion problems. Too many women, so little time. :o( Judging by the "bottom" black and white picture Fangio and Sir Mix A Lot have similar tastes when it comes to broads. Women wanna be with The Champ!! To the victor go the spoils!!! Actually, that's just how they made them back in the day. Before the white man(ad execs) brain washed millions of other white men into believing beautiful women had to look like 16 year old girls.